I approached Kverno’s St.Matthew Passion with some trepidation, not knowing what to expect. 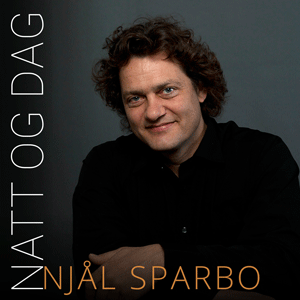 This is a contemporary setting of the Passion written by a composer who has been active in Norwegian Liturgical music for many years. He has contributed many settings of hymns in the Norwegian Hymnal. What we have here is a completely new setting of the Passion, sung entirely in Latin, and inspired not only by the religious setting, but also influenced by the current social dilemmas. Choral traditions are very strong in Scandinavia, supported by close contact with Kodaly whose methods of choral training are well known. I remember some years ago being totally captivated by a church choir in Helsinki performing an open concert in their church which was situated underground. I was extremely impressed by the standards of singing, and although the Oslo Cathedral Choir is not in Helsinki, the performance is absolutely superb. The work is written for soloists and choir alone, no orchestra being present. A Swedish observer was heard to say: "Very interesting  when did the composer die?" "The modern age needs to erect the Romanesque crucifix again. It shows the Lamb of God who has been slaughtered and is worthy of all power and wealth and strength and honour and praise and blessing - here in the madhouse of our time and for all eternity. For in the midst of our anxiety about atomic bombs, war, starvation, cancer and AIDS, in the midst of our total emptiness and lack of meaning, we hang up the image of the One who gave His body for the Life of the World: first on the cross and afterwards when bread is broken and wine is poured in memory of His suffering. This perhaps sets the work into context. Shared voices for the evangelist and Christ: this is a bit strange at first hearing, but improves upon familiarity. Added to this is the use of Norwegian folk tunes throughout the work, but I am sure that this will have a greater impact upon native Norwegians than those of us who live elsewhere. The work was first performed in an amputated version when the Norwegian Association of Church Musicians hosted the fourteenth meeting of Nordic church musicians in Oslo in June 1986. The Passion narrative was read in Norwegian by Nils Ole Oftebro while the responsories, or commentaries, were sung and the entire piece was broadcast live on Norwegian radio. The work was then recorded and it is this performance which we are covering here. The singers are all first rate, with unusually for a work from this source, the soloists being names likely to be known to us. I bet that if the text had been written in Norwegian we would have had quite a different outcome. The choir is superb, and there is not a weak soloist anywhere in sight. I was quite moved by this Passion, and being used to the Bach and Handel works, I appreciated similar emotions at the big points so to speak. The recording could not be bettered, being clear and truthful, with just enough depth to prevent it from sounding studio bound. The conductor, Terje Kvam, the original conductor of the piece does his work admirably, and inspires his forces to give an extremely moving performance. Once you have got past the sound picture, I can’t imagine anyone not liking this work, and I do urge you to try it.